March 6, 2016 | By jmitchell | Filed in: Communication, Early Literacy, Language. 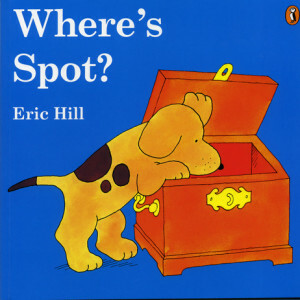 While reading Where’s Spot, incorporate language and communication goals into the activity. For example as the story goes “Is he under the bed” open the flap and there is a Lion. Use yes/no symbols or even use a programmed AAC device for the book. Then ask “who” is under the bed and supply a choice of animal icons to chose from or a voice output device with symbols.